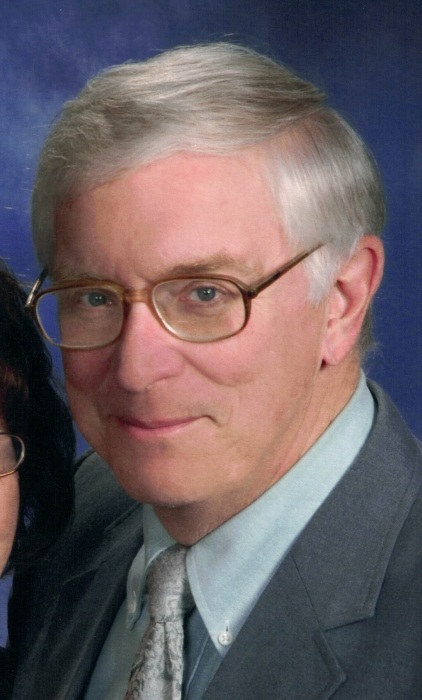 Henry William “Bill” Steck, age 70, of Grand Rapids, OH , and formerly a longtime resident of Delta passed away unexpectedly at his Grand Rapids home Monday, April 15, 2019. He was born in Greenville, OH on May 11, 1948 to the late Henry Jacob Steck and Ethel (Stephens) Steck. Bill graduated from Greenville High School and later from BGSU and the University of Toledo where he received his Master’s Degree. On April 28, 1978 in Delta he married Carol Bachelder. Although his first love was his family, in his heart he was forever a Viking. Bill taught 40 years at Evergreen Local Schools; where he also served as athletic director and coached football, baseball, boys basketball, girls softball and girls basketball. He served as the NWOAL Assistant Commissioner, was a member of the Lions Club, Delta Chamber of Commerce, Grand Rapids City Council Member, served on the ADAM’s Board, was active with the United Way and a member of the Delta United Methodist Church. He was happiest on the sidelines, in the dugout or in the arms of his beloved granddaughters. His memory will always be cherished by his wife of 40 years, Carol Steck; daughter, Ann Marie (Garth Dysert) Steck; son Matthew Jacob Steck; sisters, Sara Melford of Statesboro, GA and Sue Steck-Turner of Lafayette, LA; granddaughters, Tess Dysert and Quinn Dysert; nieces, nephews; in-laws; and his many loving friends and former students. Friends will be received from 2:00 – 8:00 PM on Thursday, April 18, 2019 at Barnes Funeral Chapel, 5825 St. Hwy. 109 in Delta. Funeral services for Bill will be held at 11:00 AM on Friday at the Delta United Methodist Church, 101 Northwood Dr., Delta, Ohio 43515. Pastors Teresa Wenrick will be officiating. Interment will follow at Lyons Cemetery in Lyons, OH. In lieu of flowers, contributions may be made to the Evergreen Athletic Department, 14544 Co Rd 6, Metamora, Ohio 43540 or the Delta United Methodist Church in Bill’s memory. Online condolences may be sent to the family through our website at www.barnesfuneralchapel.com. There's still time to send flowers to the Funeral Service at the Delta United Methodist Church at 11:00 AM on April 19, 2019.